Let's take a look at a few simple ways that men can improve their health. The gender gap among the elderly is a stark reminder of men's health needs throughout their lifetime. Women on average live 5 years longer than men in the U.S. In addition, 57 percent of those aged 65 and older are female; that number jumps to 67 percent by age 85, according to Harvard Health Publications. Why is there such a disparity and what can be done about it? Let's take a look at a few simple ways that men can improve their health. Doctors are there for you to maintain your health and wellness, not just to consult when you're feeling sick. There might be problems beneath the surface, such as high blood pressure, that you cannot detect. 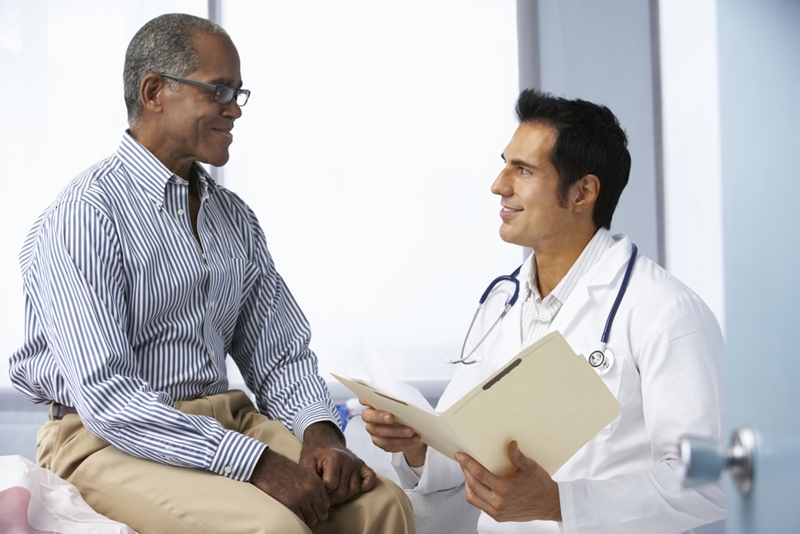 According to a survey by Harris Poll, 31 percent of men wait until they are extremely ill before they visit a doctor. One-fifth of respondents don't even believe there's a reason to see a doctor when they feel healthy. Scheduling regular visits is critical to detecting issues early and initiating preventative care before they become bigger concerns. These appointments can significantly reduce risk for prostate cancer, heart conditions, high blood pressure and more. Scheduling regular doctor's visits will help detect and treat problems early. Men typically engage in more risky behavior than women do. Business Insider noted that men consistently underestimate risk of any type and are more likely to break rules. This leads to more accidents, impulsiveness and sensation seeking. The higher acceptability for these patterns often also lead men to use drugs and alcohol more frequently than women. As a result, men are more likely to drive under the influence of these substances, causing four out of every five DUI cases. While taking some risks can be harmless, it's important to think things through more clearly and make healthier lifestyle choices. Going skydiving every weekend might give you a thrill, but overworking your heart can be dangerous. Irresponsible drug and alcohol use will also have significant long-term effects on your organs and overall health. "61% of male respondents lost contact with more friends than they would have liked." Social anxiety and relationship breakdowns can actually impact your health. According to research by Beyond Blue, 61 percent of male respondents noted they lost contact with more friends than they would have liked. In addition, one-quarter believed that they felt they had no one outside of their immediate family that they could rely on. Daily Telegraph noted that social isolation can lead to violence, depression, suicide and drug and alcohol use. While it might not be a traditional health risk, it is as dangerous as obesity and can have the equivalent impact of smoking 15 cigarettes a day. Developing healthy relationships with other men directly contributes to overall physical and mental well being. Try talking with your neighbors, connecting with old friends or going out and meeting someone new. There are a number of different resources available to aid in the goals of making new friends and connecting with people that have the same interests.